Travel packages are designed to give you the ultimate Vancouver rugby experience. Whether you live in New York, Sydney, London or New Zealand, you can choose a package that’s right for you. 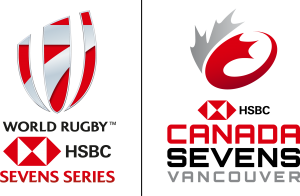 HSBC Canada Sevens works with three Official Travel Agents (OTAs) to sell Travel packages exclusively. These OTAs have created a range of packages to meet different supporter’s needs and maximize your experience around this action-packed weekend. Travel packages include flights, accommodation and more importantly tickets for two days of the tournament. This year HSBC Canada Sevens will be working with an Official Travel Agent based in Australia, United Kingdom, Canada and the USA. These are licensed Official Travel Packages for fans within their designated territory. Please do not buy tickets from unauthorized sources. To do so is at your own risk and we cannot guarantee the authenticity of the ticket or access to the event. Please note, packages are available as inventory remains.